As part of a recent trip to India I had the opportunity to fly with Go Air, a low-cost airline based in Mumbai. My flight back in April with the airline was from Delhi to Mumbai, and I had initially booked economy class, and pre-ordered something to eat in economy. Upon check in at the airport the airline was offering very cheap upgrades to business class, so I decided that I’d upgrade to check out the onboard experience and meals. Go Air don’t include meals for economy class passengers and if you would like to read further info about their inflight service you can check it all here. The business class cabin is quite similar to European business class offerings, the seat in the middle is free, you have lounge access and enhanced inflight service offerings. The meal served on this flight was dinner an consisted of: Dahl with vegetables and rice, a small salad, some and Gulab Jamun. As you can see the meal itself was quite a decent offering, however probably resembles more of an economy class meal tray, rather than a business class one don’t you think? 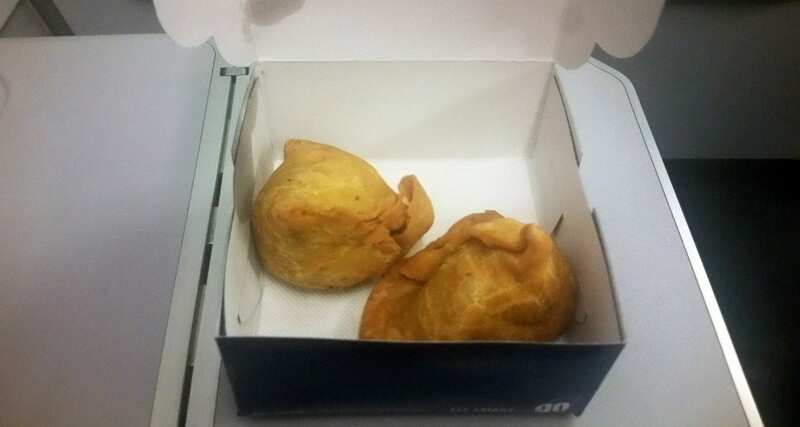 The main dish was fine, but again quite similar to what you would be offered in economy class on Air India or Jet or even Vistara in premium economy. The best part of this meal tray was the Gulab Jamun, these are like small donuts (but even better) and drenched in scented sugar syrup. I asked the crew if it was possible to receive my economy class pre order meal that I had ordered, and sure enough within a few minutes, they delivered me this box. There’s no pre order hot meals on Go Air instead you can pre order a range of snacks and sandwiches. I had pre ordered the Samoa and they were quite good and very well priced too. 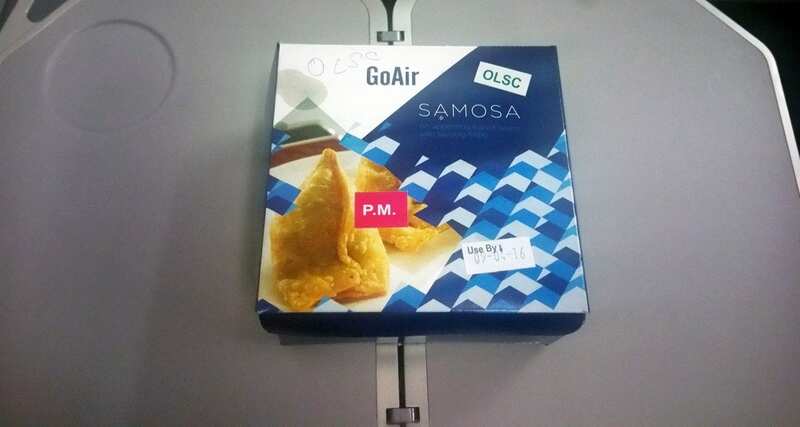 All in all, it was a good experience with Go, the business class meal could do with a bit of an upgrade though, but I don’t really have anything to compare it to as this was the only business class meal I tried out in India. Their offerings are quite similar in price and choice when compared to other airlines operating in India.